The sleek silhouette of the 2018 A3 Sedan is elevated with polished details. The Singleframe grille leads with a sporty stance, while available LED headlights help illuminate the path ahead. In the cabin, a standard panoramic sunroof in the A3 Sedan offers sweeping views that bring the outside world in. Standard on the A3 Sedan, luxurious leather seating surfaces add a polished feel to the interior. Additionally, available 12-way power front seats with four-way power lumbar adjustment keeps comfort top of mind. 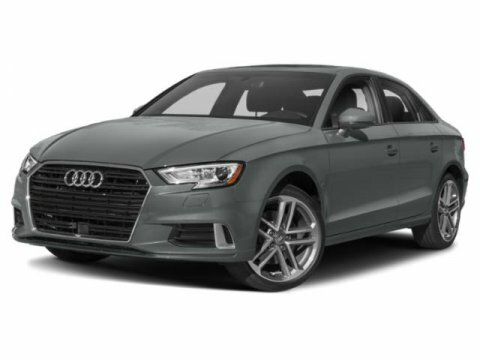 Don't be fooled by the compact size of the Audi A3 Sedan – the 2.0-liter turbocharged TFSI engine packs a punch. The 186hp front-wheel drive A3 comes equipped with a seven-speed S tronic dual-clutch transmission. Appointed with a rich infotainment system, the Audi A3 Sedan helps you live the good life. The available Audi virtual cockpit is a fully digital 12.3-inch instrument display that allows the driver to customize information such as audio and available navigation.